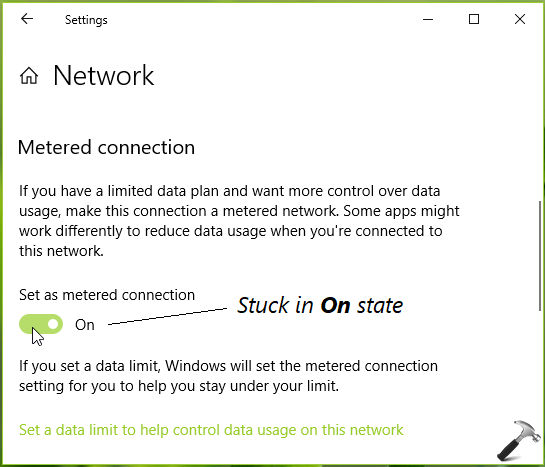 Recently, we faced a strange problem with Metered connection feature. We’ve earlier set the active network connection as Metered one on this Windows 10 Pro running machine. But now we realized that we can no longer set the connection to non-Metered. The switch on Metered connection setting page is stuck in On position (refer below shown screenshot). Sometimes we can set this switch Off state but as soon as we restart the machine, the switch is back to On state. If you’re also facing this problem, you can try below mentioned registry solution and see if it helps you. 3. 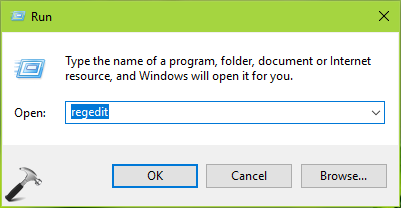 Take the ownership of DefaultMediaCost registry key using steps mentioned in this guide. Then in the corresponding right pane, look for registry DWORD corresponding to your current network connection type. If you’ve Ethernet connection set as Metered one and you can’t configure it back to non-metered, you need to edit Ethernet named registry DWORD (REG_DWORD) here. It must be having its Value data set to 2, which means the connection is Metered, atm. Double click on the registry DWORD to modify its Value data. 4. Finally, set the registry DWORD to Value data as 1. Click OK. If you want to configure Metered connection for other network type such as WiFi, set their registry DWORD to 1. Close Registry Editor and reboot to make changes effective.